good comeback records, but ‘Stay Steel’ sees the band finding their stride. This album has it all: scorching riffs, hummable melodies and a rhythm section that kills. And vocalist Tony Mills – yes that Tony Mills of Shy and TNT – is in impeccable form. 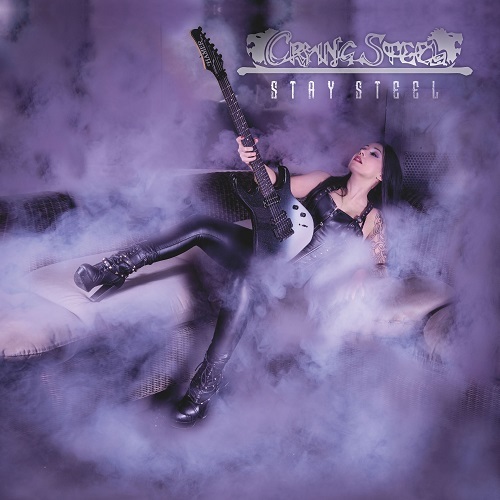 Crying Steel is more metal than Mills’ previous groups ever were, with the likes of ‘Barricades’, the Accept-like ‘Crank It Up’, the Dokken-esque ‘Warriors’ and the heavy as hell ‘Speed Of Light’ being totally in your face. Every track, thanks in part to a stellar production, shines. I’d suggest you check out ‘Stay Steel’ ASAP, and if you like what you hear (you will), then work backwards and pick up their entire catalogue!